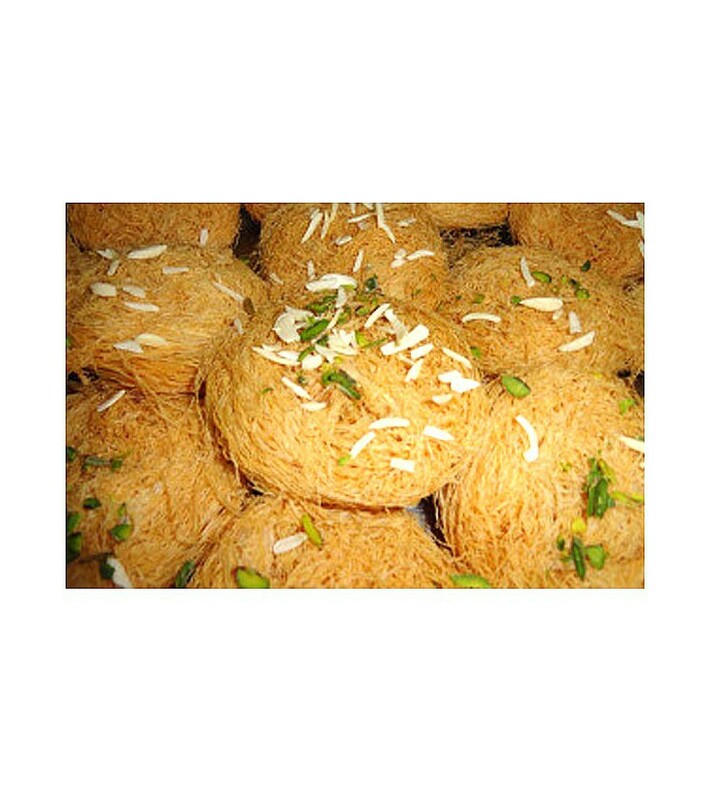 Buy Phini Mithi of Rawat Misthan Bhandar from Jaipur online | Authentic Indian Sweet , Savories and Delicacies from the place they originate by Moipot. A sweet that can effortlessly take doughnut head on. Phini mithi is a traditional Rajasthani sweet dish which has a flaky texture, round shape which is immersed in sugar syrup. This one to-die-for dish that every sweet lover swears by. The sugary goodness of this treat will leave licking your fingers!